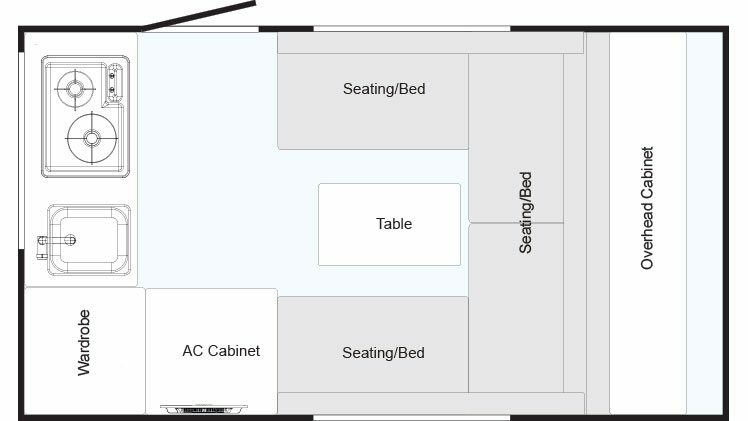 Known as the original t@B floor plan, the “U” got its name from the U-Shaped eating area. 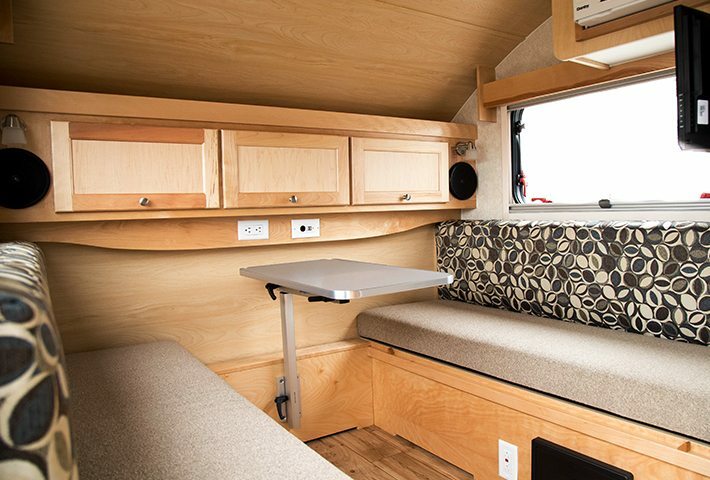 It features the largest sleeping space available complete with overhead cabinetry in the rear. 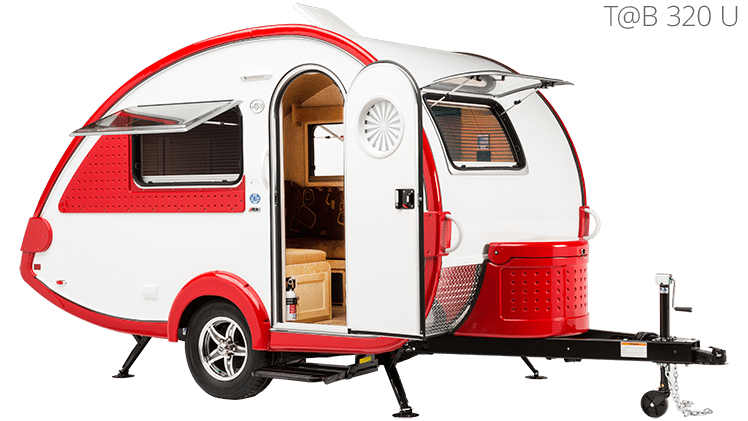 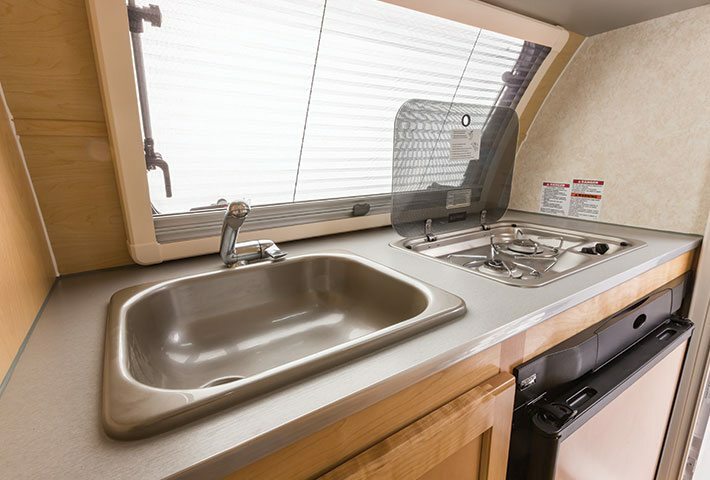 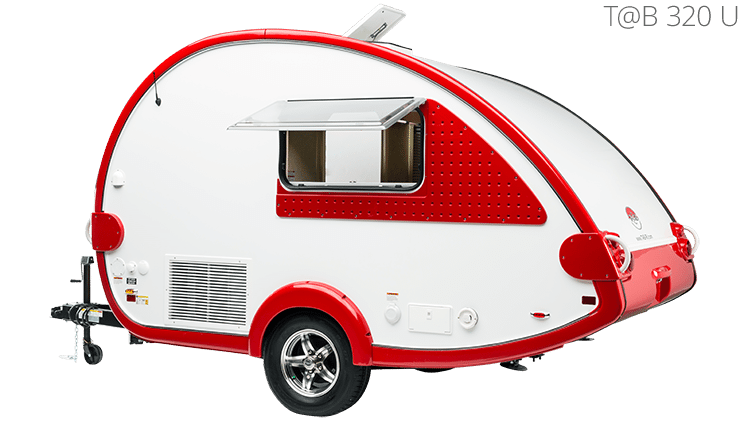 The front of the trailer offers a sink, glass-top stove, wardrobe, cabinetry and a 3-way fridge. 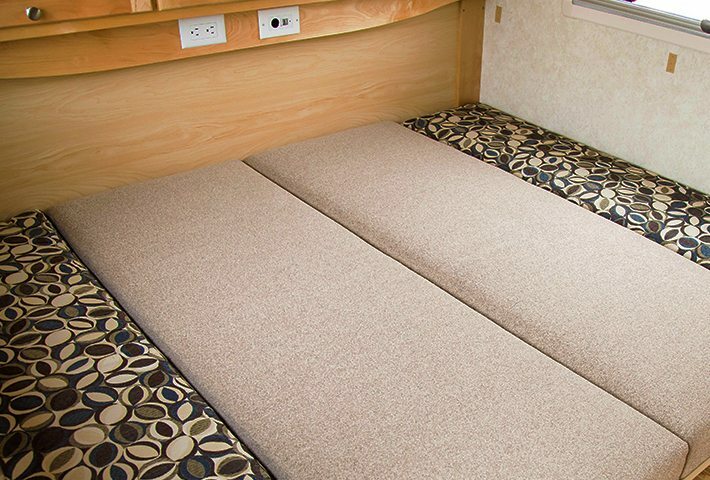 Bed Area 70" x 73"